Kolkata, Feb 12 (IANS) In a fresh standoff with West Bengal’s Mamata Banerjee government, the BJP has written to the Kolkata police seeking permission to hold a demonstration at the same spot where the Chief Minister sat on a protest against the centre recently, defying a ban her own government had imposed on such agitations there. 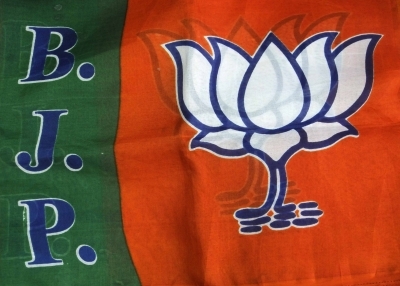 The Bharatiya Janata Party (BJP) has sent a letter followed by an email to the Kolkata police seeking permission to hold a “Save Democracy” sit-in at Metro Y Channel demanding “restoration of democracy” in the state. “We have sought permission to hold the three-day sit-in on Metro Y Channel from February 21-23. We have promised not to use loudspeakers or mikes as there is a bar on their use because of the ongoing Madhyamik (Secondary) examination (being conducted by the West Bengal Board of Secondary Education),” said state BJP general secretary Sayantan Basu. “We know about the ban. But Mamata Banerjee herself defied the ban by holing the sit-in. So, as a political party, we should also be given the same opportunity. We would also like to hold a sit-in there,” said Basu. Police, on the other hand, said they were yet to receive any application for permission to hold the sit-in from the BJP. “Once we receive it, we will take a decision,” said an officer at the city police headquarters Lalbazar. With the saffron party making West Bengal – where they have been traditionally weak – a focus state, the political temperatures have been soaring in Bengal.